This medieval fortress overlooks the Vézère River. In 1575 a Renaissance Hall was built within its stronghold. It is enclosed by curtain walls and surrounded by a deep ditch. Inside the decor and period furnishings bear witness to the grand lifestyle of the Marquess Jean II de Losse in the 16th century. 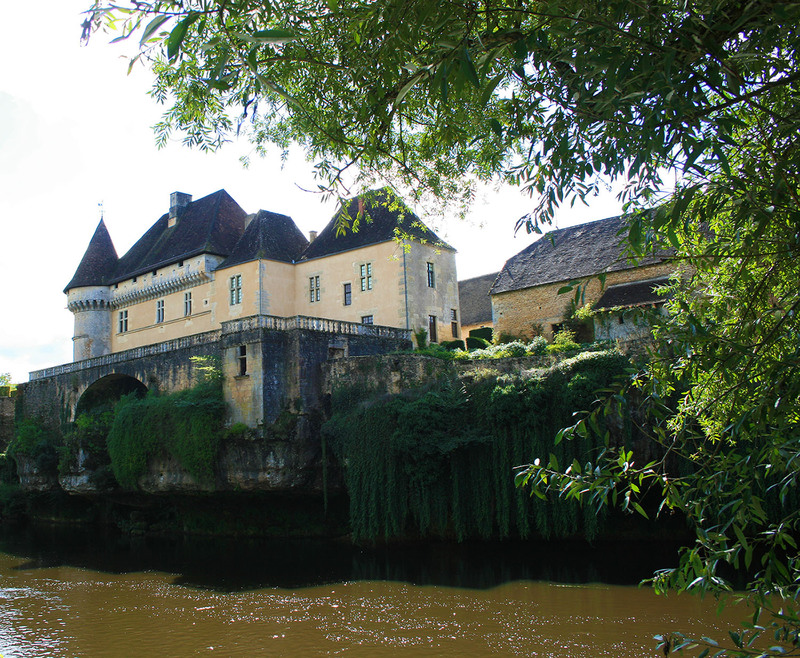 The Losse family came from Flanders in the 11th century and subsequently built a strong hold on the right bank of the Vézère. From that time they belonged to the feudal hierarchy. Later, their allegiance went to the king of France. The hall was built in 1576 inside the medieval fortress by Jean II Marquis de Losse. A great soldier, his loyalty to the crown was the source of his military and social good fortune. He was page to Francois I, served all the sons of Catherine de’ Medici and was tutor to Henry IV. As a courtier he saw the prevalent Renaissance criteria used in contemporary buildings of Paris and elsewhere. At the end of his career he returned to Perigord as General Governor of Limousin and Guyenne. The changes he then made to his ancestral home were in accordance with the tastes of the time while retaining a country-like sobriety. Since, however, the religious wars still raged, he put his great experience into defending royal palaces against Imperial troops to improving the defensive apparel of the castle for the use of firearms. This can be seen from the various openings in the curtain walls and barbican. The castle today has remained unaltered since the 16th century save for the wear of time. It was therefore listed as a historical monument in 1928. It’s sole access is by the bridge over the moat and through a fortified gatehouse which is the largest of its kind in France. Beyond the gatehouse, the Hall’s facade is an example of Renaissance architecture carved from the golden stone of Perigord. On the Riverside, the large terrace built on the cliff offers views down the Vézère valley.